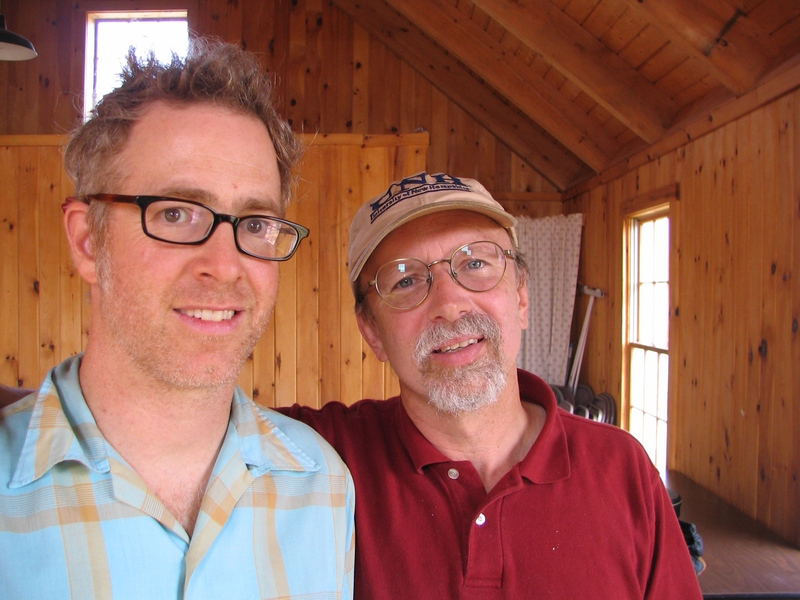 New Hampshire songwriters Craig Werth and Guy Capecalatro III have teamed up for a CD project that celebrates 6 years of friendship and shared writing retreats on Star Island. The songs in the collection, Ten Miles Out are all inspired by and many were written at the annual Writers In The Round retreat for songwriters and poets. Both Werth and Capecelatro have served as songwriting instructors for the event, now in it’s eighth year. 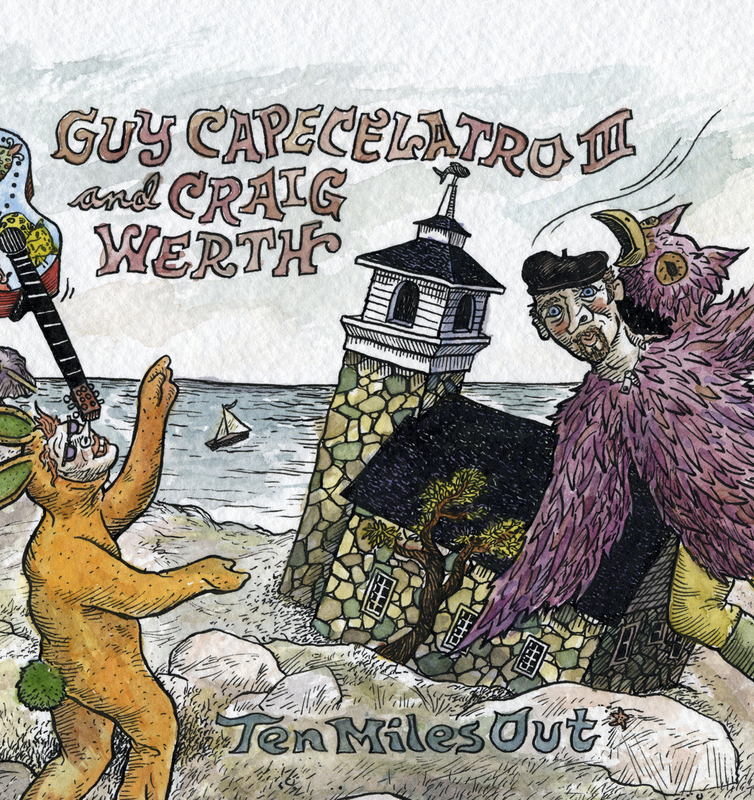 Their joint release – Ten Miles Out features some co-writes and several solo compositions from each writer. Every piece is a co-production with instrumentation, vocals and/or editing/mixing/arranging by both partners. The pair play more than a dozen instruments in the arrangements of each others work and they are joined by brilliant guest artists as well. Werth has spent the past five years touring worldwide as the accompanist/arranger for Canada’s David Francey. Werth has a Canadian Juno Award (2008) as co-producer of Francey’s 2008 best album, Right of Passage album, with a win in the Roots and Traditional category. With the release of Werth’s latest solo effort, The Spokes Man (2010) he has achieved broad recognition for his writing and performing as a solo artist. Guy Capecelatro III runs a landscaping business, hosts a show on WSCA radio, and is a prolific songwriter. He’s played in the bands Unbunny, The Buckets, Northern, Toast, Size of Guam, Mara Flynn, The Estate Collective, Milk of Magnesia, Bob & Guy, Beekeeper, Sprout, Brian Michael Roff and several others. He has recently published a book of photographs and words titled Some Women, based on his newspaper column of the same name. Many of these songs were born on Star- hatched at 3 AM in a nest of sea and rock. Some of them are actual first drafts, recorded just after being written. All of the songs are infused with the spirit of Star Island and the grand friendship she continues to nurture. All the other sounds by Craig & Guy.